The Stockman 4000 Hydrostatic Drive delivers performance, quality and engineering integrity, plus every machine features the Tuff Torq hydrostatic transmission with built in differential which offers tighter turning. 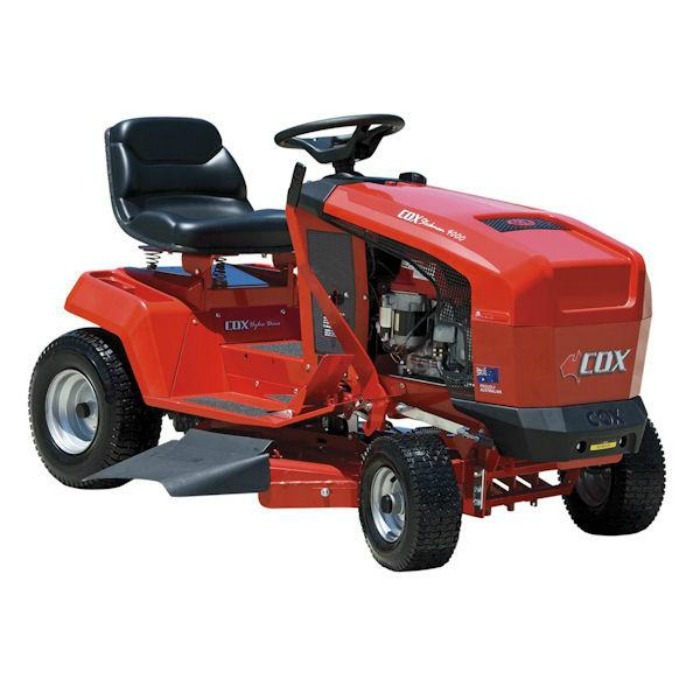 Choice of Briggs & Stratton single cylinder engine combined with either a 32″ (805mm) or 38″ (960mm) fabricated deck or for heavy duty use our 16HP V-Twin Honda matched to a 32″ (805mm) fabricated deck is available. The industrial strength polypropylene panels won’t rust and are resistant to scratches and minor dings. A comfortable & adjustable seat offers the operator a clear view of the terrain ahead. The pivoting front axle reduces stress on the chassis and helps reduce scalping over uneven ground.